Peace Out! This peace sign bracelet is a must have! 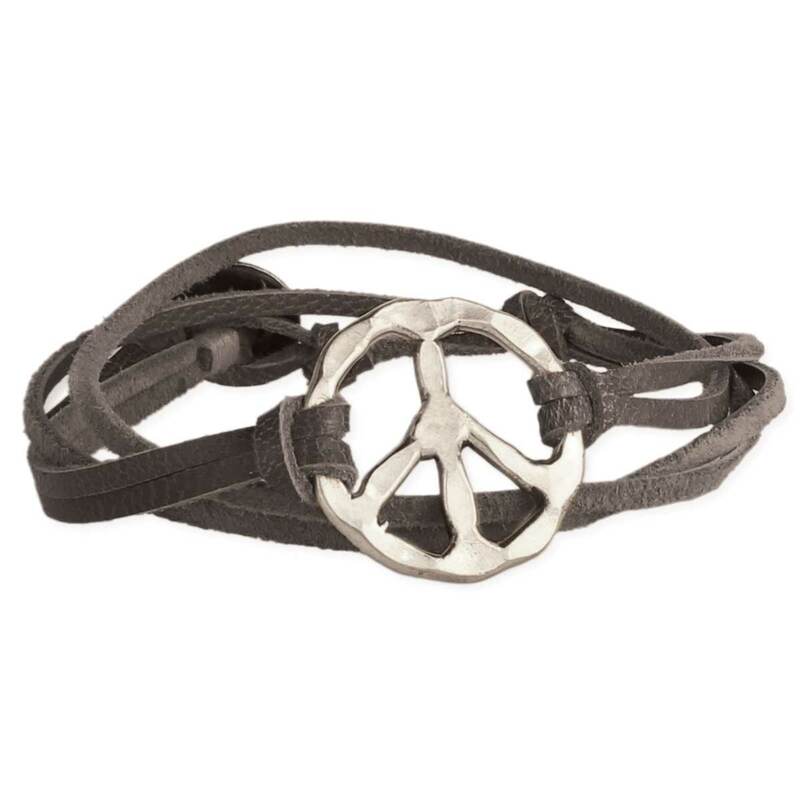 Grey dyed suede bracelet with 2 lines of cord that wrap around the wrist twice, features a hammered silver peace sign centerpiece. A good peace sign bracelet is a fabulous addition to any boho chic jewelry collection!